Make Your Desktop Wallpaper , ScreenSaver to be unchanged by anyone. 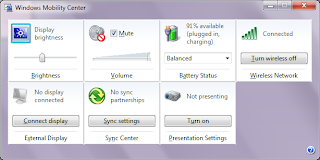 This trick is for Windows 7, it will work with windows vista and previous versions as well. Step2: Enter gpedit.msc in Run Window and press enter. Step10: To Once again Make the Desktop background to changeable Make the Option as Not Configured in Prevent changing desktop background window. Step 11: Do the Same for Screen saver, Desktop icons, mouse pointers etc..
Shortcut-2: click and shake at top of any window faster. This makes minimize all other opened windows, except the one u shaked.. a cool trick to your windows computer while working with multiple applications..
To test it do the following. step1: Open up multiple windows of any choice ( like notepad, paint , browser ...). step2: click on top of any of the window and shake it twice ( just hold your mouse button and move left to right and right to left twice fastly). 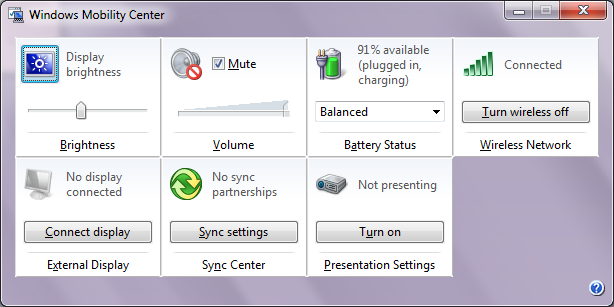 step3: u will notice that, all other windows getting minimized. step4: also if u do that again, u can restore all the windows back. Gmail Offline is a Feature where you can Store your Mails, Chats, Attachments, labels in your personal Computer without having to use any Email clients like outlook. Gmail Offline Let you to Synchronize all your Gmail contents to your PC when your connected to internet and makes u to work with your mails while not connected. 4. Follow the instructions and Accept to install Google Gears which is less than 1 MB. 2. No Additional Software to be Installed like outlook express etc..
1. You cannot specify selected mails to get saved in your Pc, instead all your mails within specified years are get stored. 1. Right click the icon and select "Rename"
NOTE : It may only work with the keypad numbers and not the number keys on top of the keyboard. This is an easy way to get to the folders on your system without having to open a Windows Explorer Window every time you want to access files. I find it very useful to have this feature as it allows me to access my Folders and Drives immediately and saves me a lot of time. 1. Right Click an empty spot on your Taskbar (Between your Start Button and your System Tray). 4. A Small Window will Open that allows you to pick the folder you wish to make a Toolbar. If you want to access your Desktop Without having to minimize all your windows. Just Pick Desktop. If you want to access ONLY your My Documents Folder, Select that. Any folder will work for this. The New Tool bar will appear at the bottom of your screen next to your System Tray. If you find this to be not useful, Repeat Steps 1 and 2 and then check click the Toolbar you created that has a check mark next to it. And it will disappear. A lot of people here may ask how to rename a file extension in windows; well it’s very simple and takes little of your time. There are two ways to rename a file extension ‘without’ a stupid program. 1. Go into your Control Panel [Start -> Control Panel]. 2. Now Open “Folder Options” and click the view tab and make sure ‘Hide file extensions for know files’ is not selected, then press Ok. The difference between renaming files in DOS is that you can rename multiple files rather then one at a time, therefore making time gracious. Here I’ll provide you a few examples. type: dir and you will be provided with what files are in your folder.